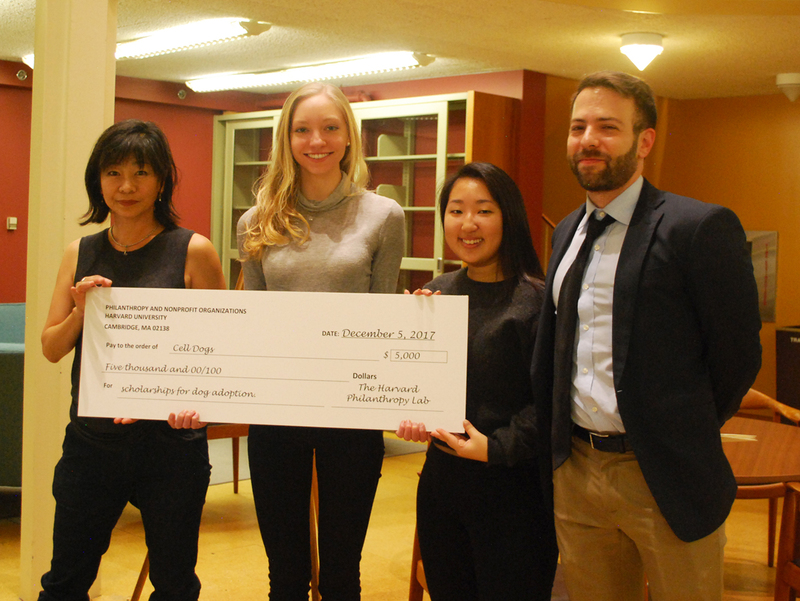 Harvard students in the course Philanthropy and Nonprofit Organizations recently made a wonderful donation to Cell Dogs! Funds were generously provided by the Philanthropy Lab, a program that supports philanthropy education in universities across the nation. Sincere thanks to Gabriella Aguirre, Julia Bunte-Mein, Dahlia Huh, Jessica Li, Zachary Steigerwald-Schnall, and Professor Shai Dromi! We’re delighted to put this donation towards our advanced training program. UPDATE! – March 26, 2018. Great news! We just received an additional donation from the Harvard group to support our mission of providing second chances all around. We are grateful and will continue to expand our advanced training program.